In 1994 a supposedly smuggled image taken by the Hubble made its way to the world’s press. Embedded in the December 26, 1993 image was what looked like a city grid, with lights, which was interpreted to be “Heaven”. NASA would not officially release the image, but off record many made comments. The Hubble was designed to take images at a distance, and has thus taken breathtaking images of nebula and star systems. The Hubble Space Telescope is a space telescope that was launched into low Earth orbit in 1990, and remains in operation. 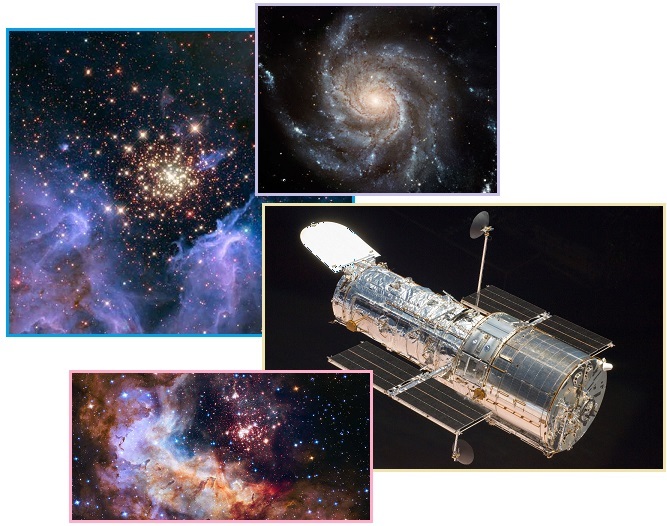 With a 2.4-meter (7.9 ft) mirror, Hubble's four main instruments observe in the near ultraviolet, visible, and near infrared spectra. The telescope is named after the astronomer Edwin Hubble. Per the Zetas it was not heaven that was imaged, far away, but the Nibiru complex, inbound, and thus the excitement and secrecy. The adjustments made to the Hubble were to allow it to take an image nearby. In 1994, a researcher was smuggled one top-secret photo the Hubble Space Telescope had taken of what is presumed to be Heaven. Weekly World News was the first to print the image and report on Dr. Masson’s findings, but despite the media coverage, NASA refused to acknowledge the existence of the photo. Dr. Masson said: “The Hubble Space Telescope was designed to photograph images as far away as the edge of the universe but a lens flaw prevented it from doing so until shuttle astronauts corrected the defect during a recent mission. When they finished their work, the telescope trained its enormous glass eye on the outer reaches of the universe. From what I understand, the first images it received were nothing more than kaleidoscopic bursts of color and light. As adjustments were made and the focus sharpened, NASA analysts couldn’t believe their eyes. After checking and rechecking the data, they concluded that the images were authentic. Just days after space shuttle astronauts repaired the Hubble Space Telescope in mid December, the giant lens focused on a star cluster at the edge of the universe – and photographed heaven! 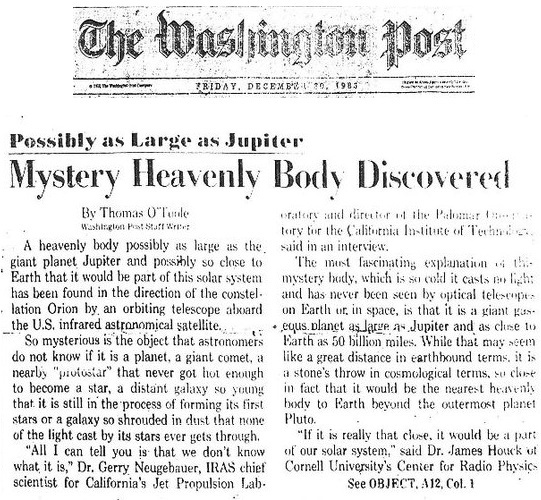 That’s the word from author and researcher Marcia Masson, who quoted highly places NASA insiders as having said that the telescope beamed hundreds of photos back to the command center at Goddard Space Flight Center in Greenbelt, Md., on December 26. The pictures clearly show a vast white city floating eerily in the blackness of space. And the expert quoted NASA sources as saying that the city is definitely Heaven “because life as we know it couldn’t possibly exist in icy, airless space. NASA spokesmen declined to comment on the author’s report “pending further analysis of the photographs received on December 26.” In spite of official silence, agency insiders concede that NASA “has discovered something that might alter the future of all mankind.” They also confirmed that President Bill Clinton and Vice President Al Gore have taken a keen personal interest in the photographs and have requested daily briefings. 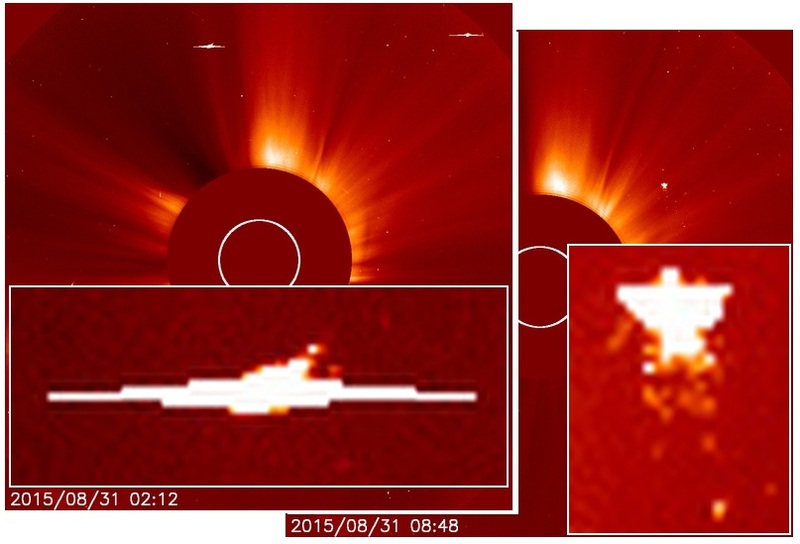 ZetaTalk Insight 9/5/2015: What did NASA image and why is this image being withheld from public view? Of course most images are withheld, most certainly any that would confirm the existence of Nibiru during its closely watched approach in the years prior to 2003, and those images that would in any way imply intelligent life elsewhere. This image fell into that category. Souls do not need cities in which to live, as they exist without physicality, without the need for bodies or supporting environments. Nor would such a small structure as imagined in these images be sufficient for all the souls in the Universe, which is so vast it is beyond the imagination of man. Thus, all the theories purported about this supposed imaged city are absurd and merely play to the religious beliefs of some. Since there is no link to the NASA website, the image cannot be confirmed, thus the stories can be repeated, unchallenged. Is there any validity to the image, as portrayed? Hubble normally takes images from a distance, covering a vast area. 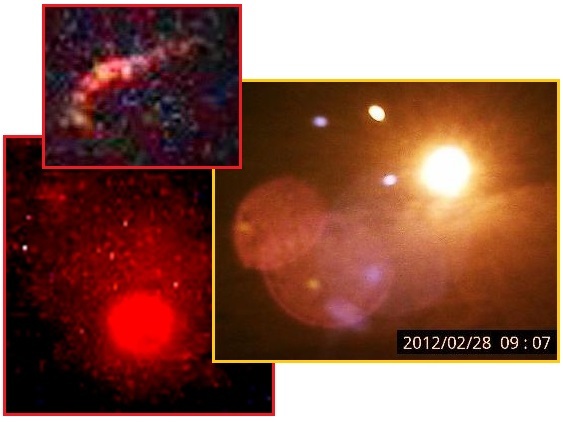 The reason the Hubble needed to be adjusted was that they wanted to take an image nearby – of the Nibiru complex. This was discovered on December 31, 1983 but in 1996, its inbound progress was to be determined. Thus the interest of Bill Clinton and Al Gore. The Hubble cannot take images beyond the Sun as the Sun burns the mirrors, and the Orion complex is only visible during the Winter months from the US. Thus the date of December 26, 1993 fits. What is the supposed city seen in the image? In that any astronomer talking to the public about the validity of Nibiru and its inbound approach was routinely assassinated, meeting with an accident or a claimed suicide, those astonished NASA employees who blurted about what had been imaged in 1993 were in danger. To protect them, a false story was invented to explain the excitement around the image, and the image was altered. Yes the image is correct, no the image did not contain a city scape. It is not Heaven that is in the light, it is Nibiru emitting the slow smoldering light we have described. The two dominant Moon Swirls which align on either side can also be seen. In the early 1980’s, in the search for Planet X, aka Nibiru, NASA had to rely upon an infrared balloon lofted high above the atmosphere. In 1983 they sighted it, out in the direction of the constellation Orion. This hit the front page of the Washington Post on December 31, 1983 and then promptly went into cover-up mode. 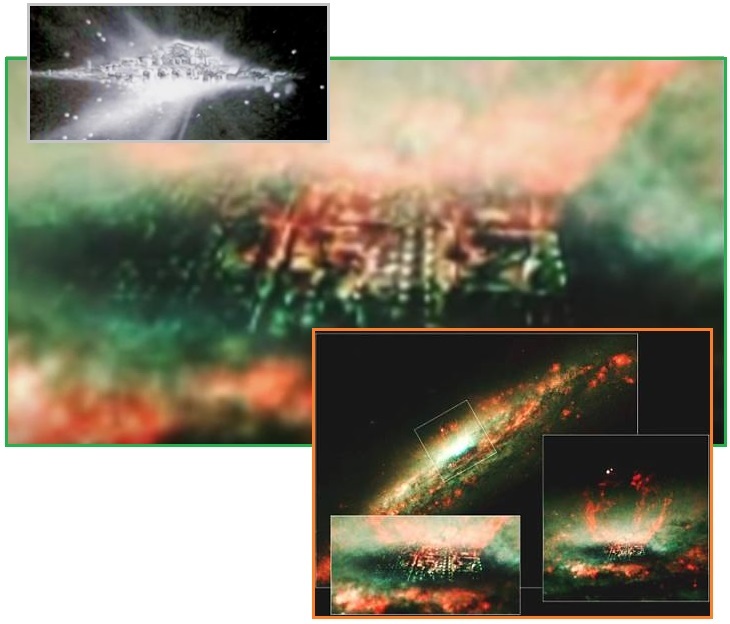 What was sighted that day has never been released, but the 1993 image (with the superimposed cityscape) is the first image at a distance released to the public. 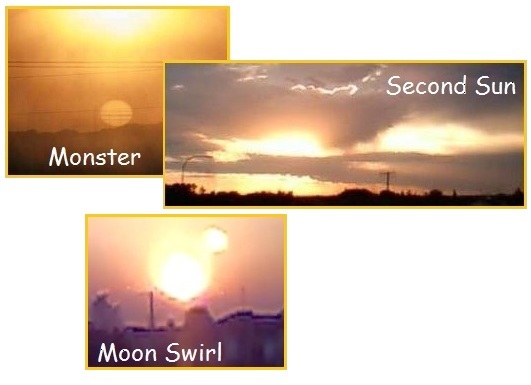 In 2003, when Nibiru began to enter the inner solar system, coming close enough for amateur photographers and even high powered binoculars to sight it, the photos started coming in. But given the havoc Nibiru is causing on Earth, and the catastrophes Nibiru is about to cause, most would hardly call it Heaven. Late in the day on August 31, 2015 a series of events began in North America and over the Atlantic that all pointed to a strong electro-magnetic pulse (EMP) in process. 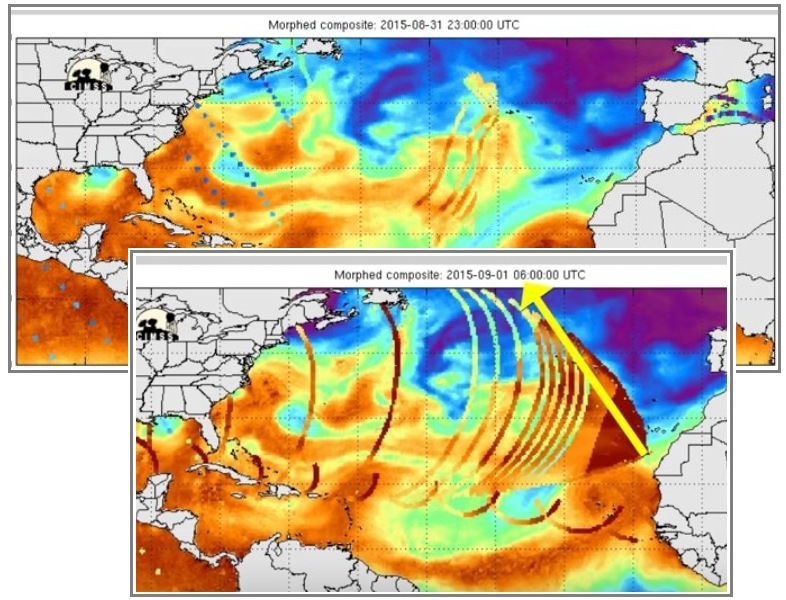 Radar developed circular lines across the Atlantic late in the day on August 31, 2015. An alert was belatedly issued on September 1, 2015 warning pilots on the East Coast that their radar would not work correctly, and asking for pilots to alert the FAA by radio if they saw a dangerous situation developing. The September 1, 2015 radar lines were similar to the radar circles that had appeared in Australia in 2010. Per the Zetas, these circles, which showed up on radar screens, were due to the charged tail and magnetic influence of Nibiru, aka Planet X. Electro-magnetic particles were involved, per the Zetas. ZetaTalk Explanation 1/25/2010: The Australia radar circles are not caused by these greasy elements nor are they caused by charged dust in the atmosphere. Australia lies near the Earth's magnetic S Pole, which is south of this continent but nevertheless nearby. The Earth's magnetosphere is being tugged and twisted, at times the S Pole of Earth seemingly absent, as the magnetosphere of Planet X is pulling it into alignment, end-to-end. This is a predecessor to the lean to the left and the 3 days of darkness, when the influence will be stronger. Nonetheless, at times the Earth today is dealing with a failure or lack of magnetic particles returning to the S Pole, and this sets into play all manner of other dramas in the atmosphere. 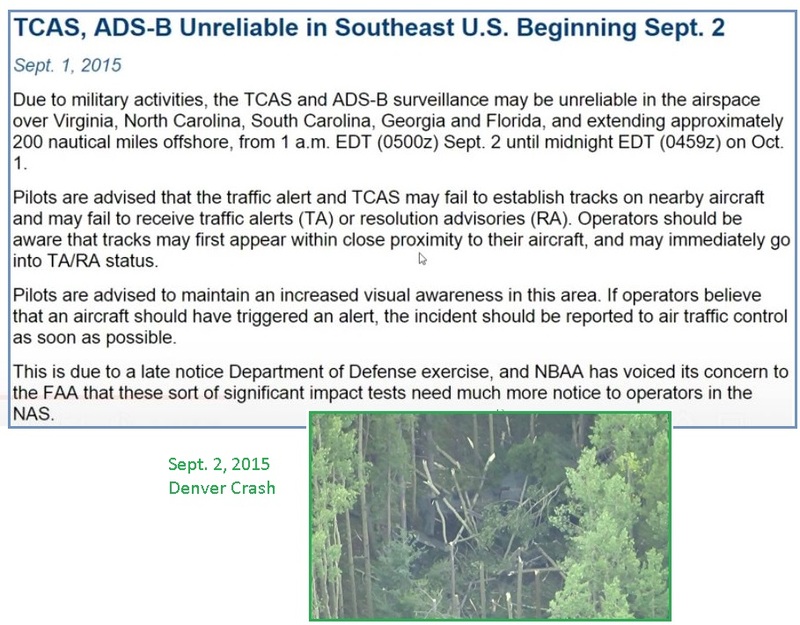 The US Military issued their alert for the East Coast on September 1, 2015 and blamed it all on a military exercise. Oh really? And there was no prior warning re all of this to commercial aircraft? The next day, on September 2, 2015, two military choppers crashed into the trees during an exercise near Denver, for no apparent reason. Two soldiers suffered injuries when a military helicopter went down in Colorado. Officials say the Blackhawk chopper made a hard landing during a routine training in Embert, just south of Denver. 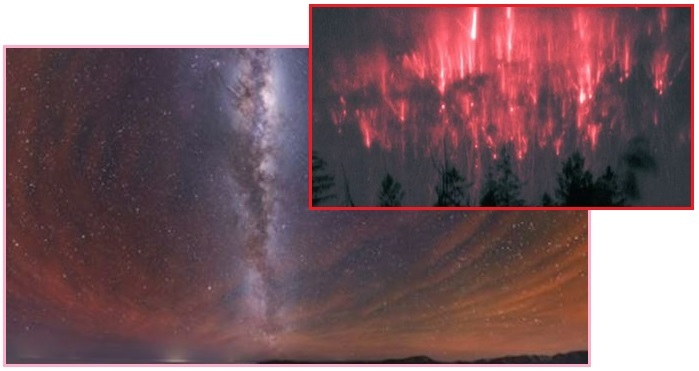 BPEarthWatch also noted that an odd red sky appeared over the Atacama Desert of Chile, and lightning sprites were above storms in the affected region, both indicating a tail waft from the charged tail of Nibiru. These incidents also occurred on September 1, 2015. Does the fact that the radar circles of August 31-September 1, 2015 rolled across the mid-Atlantic Rift have something to do with the highly magnetized lava there? Recall that this was the reason that AF 447 had all its electronics knocked out so that it crashed into the sea in 2009. That too was caused by EMP due to the attraction of the mid-Atlantic Rift. ZetaTalk Explanation 7/9/2009: We have repeatedly warned that electromagnetic disturbances could be anticipated as the charged tail of Planet X turned toward the Earth. There is increasing evidence of this, the latest unmistakable piece of evidence a blast to the Earth's magnetosphere. The number of subatomic particles in the electromagnetic spectrum, as we have noted, is beyond what mankind imagines. When failure happens on the ground, there is an outage. The lights go out, but nothing crashes to the ground. When a massive failure, however temporary, occurs in an airliner time catches up with those affected as the airliner is temporarily out of control, and in turbulent weather this can prove disastrous. Will such failure happen again? We have stressed, repeatedly, that man can expect problems with their satellites and electrical grids due to the charged tail of Planet X wafting increasingly in the direction of Earth. Air France 447 hit a triple whammy, however, in that it was in a storm and over the Atlantic Rift, which as we have stated is a surface magnet, responsible for the twice-a-day global shudders that appear on the live seismographs. 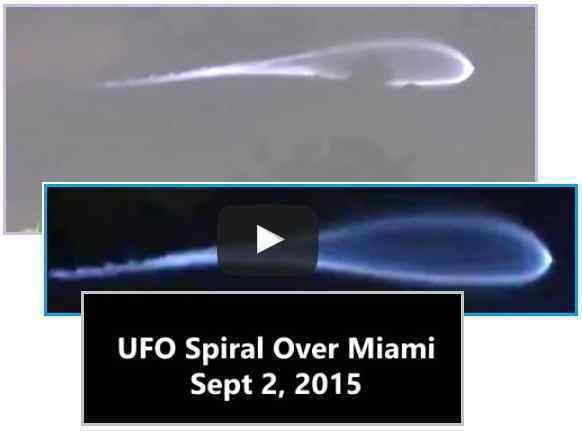 Just before dawn on September 2, 2015 a blue neon swirl was seen overhead in Miami. This caused a stir on the Internet. But later NASA et al stated it was only gasses from a rocket launch well north of Miami at Cape Canaveral. Do rocket launches normally result in neon blue swirls almost 200 miles distant from the launch? Per the Zetas, the neon blue swirl was from greasy elements in the atmosphere from the tail of Nibiru. These elements can create a chemical glow, when lit, and the Miami episode is similar to the Norway spiral in 2009. Once again, the establishment brushes it all off by claiming the cause is a rocket launch. The Atlas V rocket lifted off from Cape Canaveral and blasted into space. A United Launch Alliance Atlas V blasted into space Wednesday morning carrying a Navy communications satellite and creating a spectacular light show that had some people wrongly worried that the rocket had blown up. 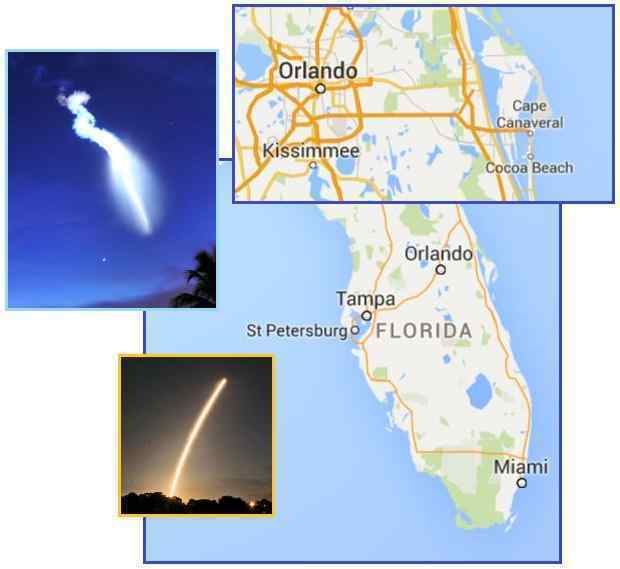 The launch was so bright it was seen across Florida, from St. Petersburg to Key West. That prompted the National Weather Service Office in Miami put out a tweet advising people that what they were witnessing was the Atlas V launch, not a meteor or other event. About five minutes after launch, the second-stage ignition created a huge, bright-white cloud backlit by the first rays of sunrise. ZetaTalk Comment 9/5/2015: Where the undulating neon circle over Miami is not technically a spiral, it is the remnant of a spiral. The swirling motion is caused by the electrical charge in the air, as the tail of Planet X is charged, thus causing so much electro-magnetic pulse disruption in mankind’s infrastructure lately. Just as with the 2009 Norway spiral, where it was later claimed to be the result of a Russian rocket launch, the establishment here is trying to make a similar claim. The Miami swirl is not from a rocket launch at Cape Canaveral, which is at a significant distance. Nor do clouds glow long after the launch. Do these swirls routinely happen during the frequent rocket launches from Cape Canaveral? During the dramatic Norway swirl in 2009 the establishment, frantic to deny that Nibiru was in the vicinity, claimed that this charged swirl, which grounded due to its charged nature, was caused by a distant rocket launch from Russia. Huh? ZetaTalk Explanation 12/8/2009: The Norway display is akin to the neon clouds seen on occasion since Planet X arrived in the inner solar system in 2003 and the grease in the tail of Planet X has polluted the Earth's atmosphere. The neon appearance is caused by a chemical reaction, akin to man's familiar light sticks. Up until recently, such neon displays required a light source in order to be seen, lit in the dawn or dusk by sunlight or the lights from a city. What has occurred over Norway is a neon cloud, a grease cloud, lit by the electrical charge from the tail of Planet X. 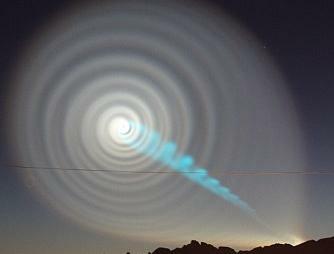 Neon clouds and spirals in the sky are seen at times and places when no rocket launches have occurred. They are not related. Note that per the Pole Shift ning blog that tracks the Nibiru complex object that appear on SOHO, the Sun was utterly asleep in the early hours of August 31. Even at the start of September 1, per the SOHO archives, it was asleep, and the CME that developed was small in comparison to an example of an X class flare in the year 2000. 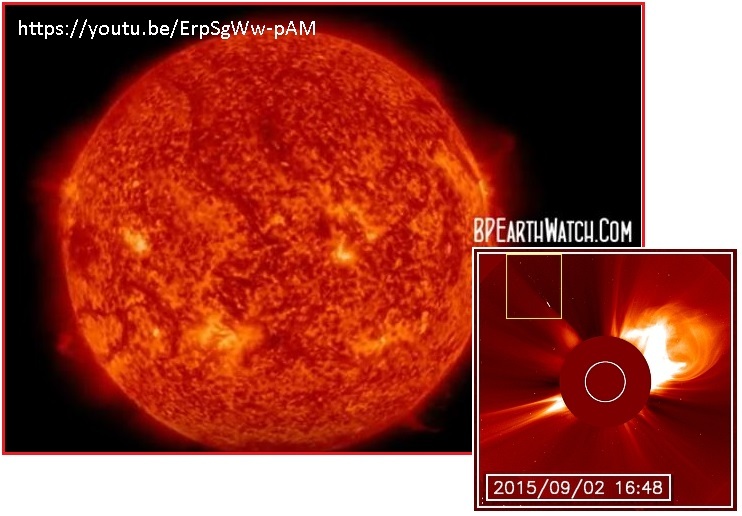 Per BPEarthWatch the CME would have had to come from the from the back of the Sun as it did not show up earlier on EIT images. Nothing suggesting that a big CME was pending was seen. 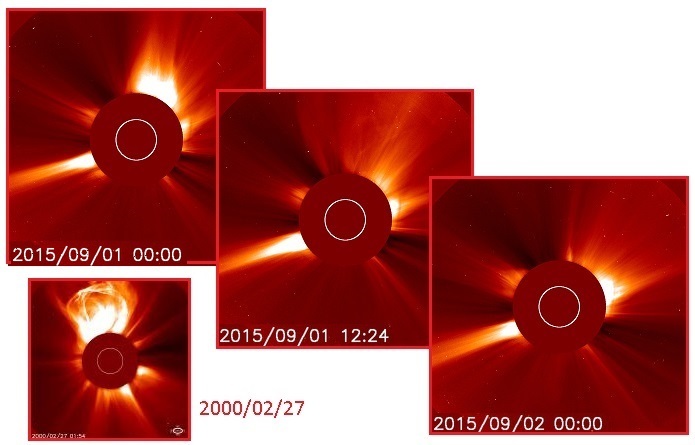 Could we be seeing fake SOHO images to cover the EMP evidence? SOHO is known to doctor their images, removing evidence of the Nibiru complex. All this is moot in any case as the radar track interference began at the end of August 31. It was not from the Sun. Desperate to remain in control and deny that EMP was increasingly besetting mankind’s infrastructure, the establishment proffered an excuse for all of it on September 2, 2015. The Earth was “crossing through a fold in the heliospheric current sheet”. Was this not known ahead of September 2, when SpaceWeather first announced it? And would we not pass thought such a heliospheric current sheet regularly, yearly in fact, if this was the case for year 2015? This is an after the fact excuse, as Heaven forbid that the public will cancel their vacations to Disneyland or fear hopping on a plane. So “solar sector boundary crossings” cause choppers to crash, radar to totally malfunction across the Atlantic, FAA to issues warnings to airplanes along the entire East Coast, and create neon blue swirls in the sky above startled commuters. But only for part of the globe. But the US military, the FAA, and SpaceWeather had no clue until it was all over on September 2. Could we just have the truth? Solar Sector Boundary Crossing: High-latitude auroras are possible on Sept. 2nd when Earth crosses through a fold in the heliospheric current sheet. This is called a "solar sector boundary crossing," and NOAA forecasters estimate a 70% chance of polar geomagnetic storms when it occurs. 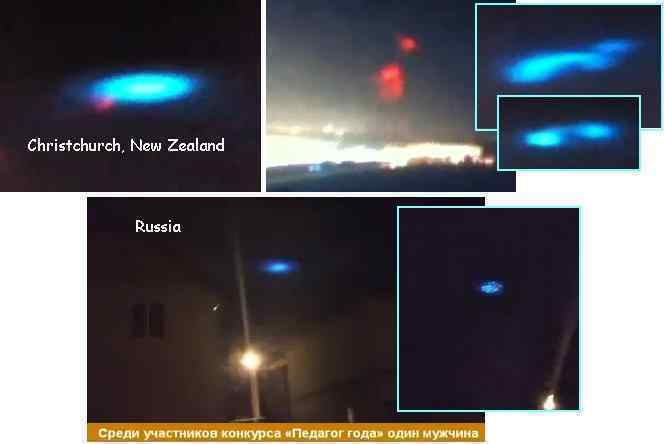 During the month of August, 2015 reports came in from around the world showing a beam of light emerging from the ground. These beams came and went in an instant, puzzling all who saw them. What were they? The Zetas explain. Can there be so many "camera glitches" all happening in the same month, from all across the world? Most of these beams of light shot up from the clouds as if a battery of gigantic searchlights are searching the landscape and are identical to a vertical band of light. 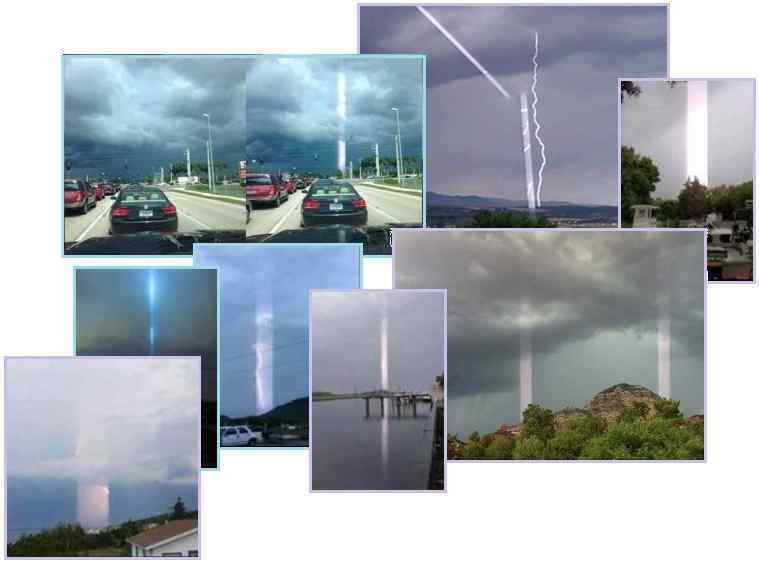 The latest large beams are photographed in South Fort Myers Florida, USA on August 15, 2015 and in Civitavecchia Italy on August 10, 2015. There have also been light beam reports from ground to sky that last only a few seconds and are also without sound. ZetaTalk Explanation 8/22/2015: Light towers were noted in 2008 by soldiers in Iraq, who sighted these burning methane spires while wearing night vision goggles. Photos of twirling smoke drifting upward during the day in Canada showed that these towers were occurring during the day, also. Our explanation was methane release, sparked by friction in the air or lightning. The tail of Planet X, aka Nibiru, is greasy and thus other atmospheric phenomena such as neon clouds or the Norway spiral in 2009 during which a grease cloud was lit and swirled during the combustion as the charge attempted to ground. Recently in Escanaba, Michigan a transformer exploded during a lightning storm, lighting a methane spire that had been released during an earthquake. And in late 2014 a methane flash in the Urals turned a highway into day for a few moments, in front of astonished commuters. Mankind, not dealing with the reality of the greasy elements in the air, is at a loss to explain the occasional light towers, and now matters have gotten more obvious. A light tower of burning methane burns directly upward as methane is lighter than air and rises quickly in the atmosphere. Released by shifting rock or rock layers under a stretch during plate movements, in most cases this methane whooshes upward and disburses. But during a lightning storm, or in stormy weather where air layers are creating friction and thus sparks, and in particular where lightning is present, the methane will alight. The scenes caught on video include at least one instance where the methane tower flashes and then is gone, just that quick. Note that almost all the captures of these towers are showing storm clouds, often low to the ground. Why do the towers have the appearance of straight sides, like a tube? When seen from a distance they appear like a flame, narrow at the base and then broadening out. In the Urals, a wide area of methane simultaneously flashed, thus momentary daylight. The recent methane tower captures are close at hand, in low lying clouds, so the lit methane is under pressure and blowing out of the ground where seen, thus the tube appearance.